We were able to get everything we wanted except wheat which they were out of until the first of the year. I will be going back in a few weeks to finish off that part of the order. I did learn exactly how much will fit in a 4Runner, although I had more than the traditional blind-spot to worry about on the drive home. For this round, I canned rice, sugar, pinto beans, black beans, white beans, potato flakes, dry milk, dried onions, apple slices, and both quick and regular oats. The nice thing about the Home Storage Centers is that they have everything you need to complete the project including the cans, lids, oxygen absorbers, and boxes. They even had a temporary clip that you can use on the bag that holds the oxygen absorbers since they cannot be exposed to the air for longer then ten minutes or so or they will go bad. Dry-pack canning is really very simple—you fill the can up, drop in an oxygen absorber (except for sugar), put the lid on, seal it, and then label the can so you know what’s inside—but I learned a few things that helped me get more efficient after the first day. Instead of repeating each of those steps for each can, it is much easier to do thirty cans or so in a batch. Set up a long table next to where you have the canner mounted and then set up thirty or so empty cans. You can then open one of the bulk bags and pour across the cans filling them all in turn, without bending over or having to pick the bags up and setting them down again and again. You’ll then want to tap the cans on the table good and hard several times to get the food to settle, topping off as needed until the can contains is much as possible. I learned that with most items, if I fill the can until the contents are heaped above the rim and to the point of overflowing, they will usually settle down nearly perfect, leaving just enough room for the oxygen absorber and the lid. A few of the lighter items like flour and milk really compact though and you’ll need a cup of some sort to scoop extra and top off the cans. For the items such as apple slices, onions, and potatoes that come in a box, I found scooping the contents out with a plastic pitcher to be the most effect method. I didn’t bother with labels for the cans and boxes, even though you can get them for free with your purchase from the Home Storage Center; I simply wrote on the cans with a black Sharpie. I then loaded the cans into cardboard boxes that I also purchased there six at a time and labeled the box as well. Obviously the more hands you have the faster the work goes but it is something that can easily be done solo. The only real possible obstacle I can see for some would be lifting and transporting the twenty-five pound bags. If you can get your hands on a canner, I would definitely recommend this approach. So much does this cost? Was it worth the effort to can it myself? Using the price sheet, let’s break it down. That’s $293.2 for supplies and $1184.05 for food and a combined total of $1477.25. We roughly purchased for 3.5 adults for one year. Let’s compare that with off the shelf options. Emergency Essentials has three packages: Ultimate, Premium, and Traditional costing $2,399.95, $1,549.95, and $799.95 respectively for a single adult year supply. While the each of these contains significantly more variety (dehydrated fruits and vegatables, drink mixes, pancake mix, etc), you can see that there is significant savings in doing the packaging yourself. Even if we go with Emergency Essentials basic package, it works out to be $11.11 per can whereas mine was $3.30 per can. How much did you spend on Christmas this year? Sure, I’d rather be eating the gourmet meal found in Emergency Essential’s Ultimate package, but this does show that there is no excuse for not having a year’s supply. Having acquired most of the basic staples in the past year or so, my wife and I decided to can some goodies a couple months ago. We checked out a canning machine from the Lindon cannery and canned skittles, starburst, dum dums, M&Ms, jolly ranchers, lifesavers, chocolate chips, and a few other goodies. I finished my wheat this evening. I decided to do 15 bags of flour as well. It added up to 180 more cans. I thought I’d post a note that together with another person, I was able to do all 180 cans in one evening. I also wanted to let everyone know that prices are on the rise, so if you have the means, I’d buy now instead of waiting. Wheat is up over a dollar from a month and a half ago and the ten pound cans are up from forty cents to seventy cents! I live in Northern Indiana. Is there a place that I could rent one of these canners? The only place that I have heard that rents them is the Dry Pack Canning Company in Centerville, Utah, but that isn’t going to help you much. There is an LDS Home Storage Center in Indianapolis (5151 SW 84th Street). They don’t rent canners (to my knowledge) but they do have canners onsite that you can use and they would have lot more information about what your options are locally. I’d give them a call. Another option would be to get together with a group (friends, relatives, a community organization, a local church) and purchase one. Hazel, I’d agree that the best resource would be to contact the LDS cannery closest to you, even if you aren’t LDS they love to help. Normally they do have some that you can check out, but most have been swamped with requests lately. They will be able to point out available resources for you. If you aren’t near the Storage Center wade lists, look up the LDS church closest to you and the local Bishop will help you with anything that might be closer to you. 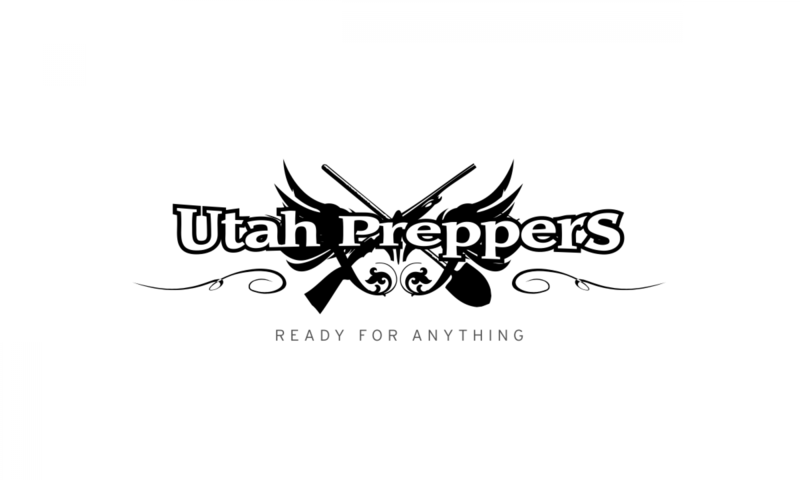 Previous PostPrevious Inauguration Day = Utah Preppers First Meetup!